Sam's Inflatables is your best choice for inflatable bouncers, jumpers, spacewalks, interactive games, concessions, water slides, and other great party rentals in Slidell Louisiana and the surrounding communities. The concept of Sam Inflatables began as a dream to invest in a service that would make children happy. As any parent knows, nothing is more precious than the smile of a child, and we wanted to allow parents the opportunity to entertain their children, and make it affordable. More importantly, we wanted to make it a clean and safe experience. Our company is family owned and operated. We are a fully licensed and insured company specializing in providing affordable, clean and safe inflatable fun to the entire St. Tammany Parish north shore and surrounding areas. 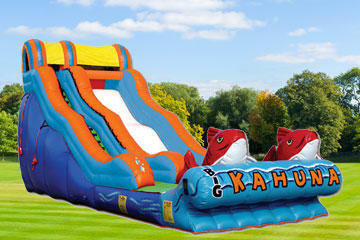 Checking availability and making a reservation is as easy as one, two, three on SamInflatables.com. Just click the "Start Here" button below and enter your event date and times. Then as you browse through our website you be presented with those items that are available on your event date. Then when you find items you would like to reserve, you can click the "Add to Cart" button located on every product page, and then proceed through check out. Let's get this party started now! 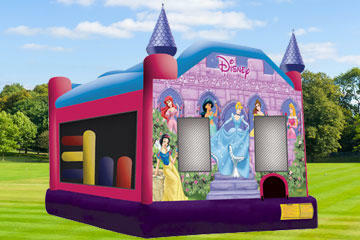 Bounce house rentals is America's favorite attraction for any event, party or celebration. 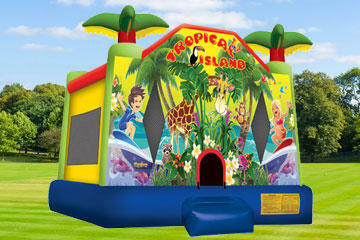 SamInflatables.com has Slidell's best selection of exciting themes, and colors, priced right for your budget. 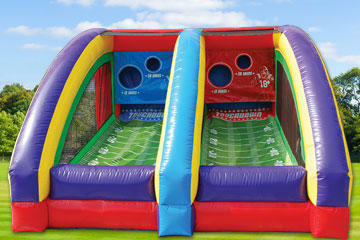 Get your best value and maximum fun with a combo bouncer rental from SamInflatables.com. These awesome combos get their name from being a "combination" of the popular bounce house and additional exciting elements. Get ready for a wet & wild time when you rent one of our giant water slides. Choose your favorite theme and just add water and you're ready for fun! 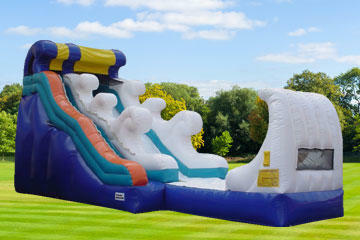 All SamInflatable.com water slides feature the latest safety features for your guest's protection. Great for school fun days, church carnivals, and other locations where water use is not appropriate. These giant inflatable slides are every bit as exciting as their wet cousins and will make the perfect centerpiece attraction. 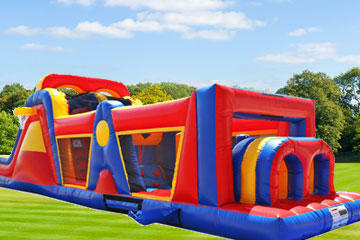 Obstacle Course rentals are one of the most exciting attraction you bring to your event. Great for large crowd events as they can move players through the course quickly. Get your team ready for fun and take the challenge! SamInfatables.com has a great selection of awesome interactive games that will bring your guests together in the spirit of fun and friendly competition. Good for ages and skill levels so all can play together. If you're doing the party planning, don't forget the "Fun Food"! Popcorn machines, cotton candy machines, and sno-kone machines. 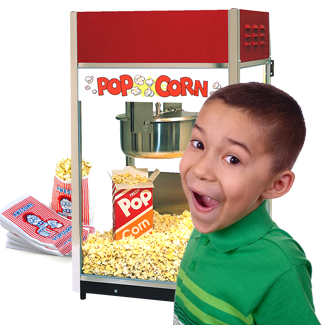 All of our concession machines are easy to use and come with supplies where indicated. We also make sure your machine rental will arrive clean, and sanitized, ready to work.